Women CEOs are a rarity: there are none leading Fortune 500 semiconductor companies. Latina or Hispanic women CEOs are even more scarce. Jessica Gomez of Rogue Valley Microdevices, a MEMS foundry based in Southern Oregon, is an outlier on many levels. 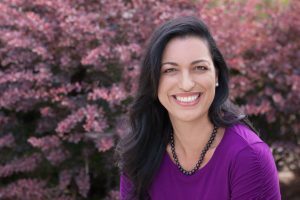 As a Latina woman who paid for her education by working in the semiconductor industry, Gomez overcame some daunting obstacles to co-found Rogue Valley Microdevices, where she is now the CEO. Gomez’s passion for the semiconductor industry and her positivity while facing life’s roadblocks inspired SEMI Foundation to select her as its first executive in Spotlight on SEMI Women, a new SEMI Foundation program that recognizes and celebrates the many accomplished women who work in the global microelectronics industry.